Champagne reception in the Alice in Wonderland Gardens and a private tour of Christ Church College, the setting of Harry Potter! 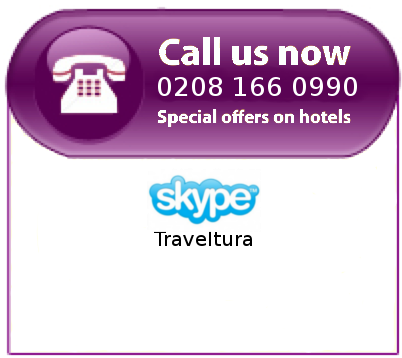 Oxford, known as the City of Dreaming Spires, is famous the world over for holding the oldest, and possibly greatest, university in the world. With cobblestone streets and beautiful old architecture crawling with ivy, Oxford is as enchanting as it is historical. On our tour you will see Christ Church College, including the grand dining hall that you will surely recognise from the Harry Potter films. Learn about college life and traditions, and some of its impressive alumni - Lewis Carroll, for example, authored his enchanting tales of Alice in Wonderland right here in his Oxford Halls! 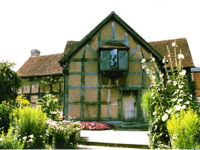 Stratford upon Avon is the birthplace of our beloved poet and playwright William Shakespeare, and home to the world-famous Royal Shakespeare Company. A delightful rural market town, Stratford houses both the birthplace and eternal resting place of the Bard. During our walking tour, you will see where Shakespeare was born, his childhood school, his wife Anne Hathaway's house, and as we follow the curves of the river we will come across the Holy Trinity Church, where the great man was finally laid to rest. Afterwards, we will make our way to the picturesque Cotswolds where we will have lunch* in a quaint 15th century inn. 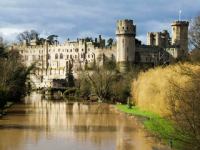 Warwick Castle, Britain's greatest medieval castle dating back over 1,000 years, will enchant you with it's palpable histories of feasts, war and royal extravagance. Walk over the footbridge and watch history spring to life; see the waxwork displays, see the dungeons of torture, or simply wander through the beautiful castle grounds. What a glorious end to an exciting day in the English countryside!